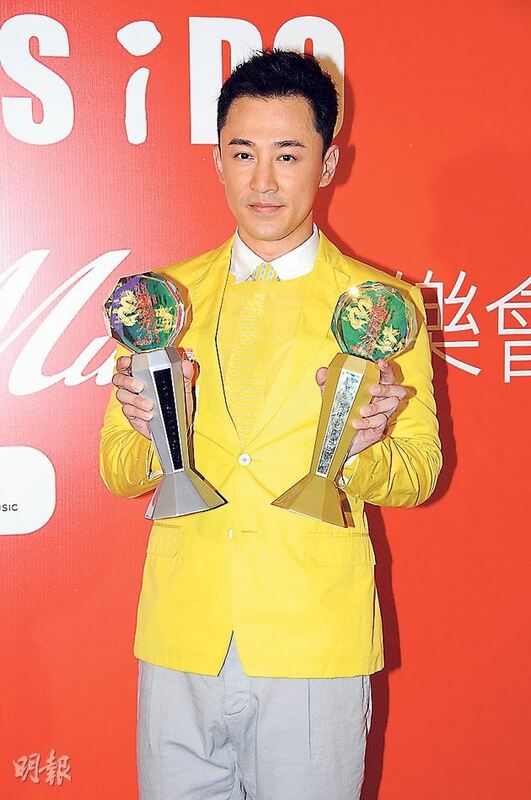 Yesterday Raymond Lam came back to Hong Kong to attend a Luk Fook Jewelry event with the Miss HK contestants. On stage, Raymond showed off his 'paternal' love to a little girl, he hugged and kissed her cheeks. He expressed he does indeed love children and announced he'll definitely spoil his future daughter: "Actually I don't mind boy or a girl. (Have you talked to girlfriend Karena Ng about marriage and kids?) I will not talk about my personal life." He expressed he does have plans to start a family, and its fortunate the pressure has been lifted off of him because his parents already has grandchildren. WHen speaking of contestant #15 Sisley Choi's appearance resembles Karena BB? He said: "I haven't paid attention to the contestants. (Now you have a girlfriend, don't dare to look at other girls?) No, work is my priority." Raymond is only staying in HK for a day, then he'll fly back to Hengdian to continue shooting for a costume drama and won't be able to take part in the Metro Radio Mandarin Music Awards. He accepted his two awards in advance. Raymond disclosed the Hengdian temperature went up to 40+ degrees C, which led him to suffer his first heatstroke. He also expressed he has filmed 3 Mainland series in the past year and spent a lot of time in Hengdian. He laughed: "Once I hear the name Hengdian, I'm scared. I believe I won't go there again in the near future." So does Raymond not have time to see his girlfriend either? Raymond said: "We already had dinner!"